Any business shopping around for a web hosting solution will no doubt come across terms such as shared hosting, virtual private hosting (VPS), managed hosting and, the latest to enter the lexicon, cloud hosting. Often the holy grail is purported to be, if you can afford it, dedicated hosting, but what exactly are the reasons for choosing a dedicated hosting solution and is it the right fit for you? 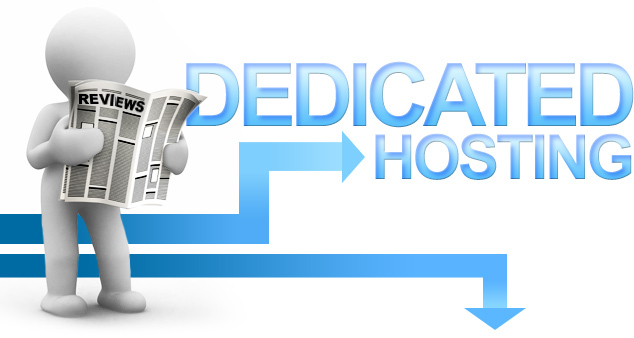 Dedicated hosting refers to a scenario in which a website (or unified set of websites) is hosted on its own distinct physical server and therefore does not share any of its hardware or software with any other organisation’s websites. The server itself will usually be leased from a hosting provider and will be physically housed in a data center. As with shared hosting (and VPS) dedicate hosting packages can be self managed or can include varying elements of managed hosting; from providing control panels which allow the client to request automated maintenance tasks, to having support engineers on call 24/7. All web sites which live on servers housed in data centers will benefit from the security and ambient conditions (cooling, humidity controls etc) that these data centers offer but there are a number of further benefits that dedicated servers offer in comparison to the varieties of shared servers. Dedicated hosting packages will usually include redundancy options for hardware and software so that any failures on the server will not result in lost uptime. However, the initial risk of failure is also reduced because your website(s) is not sharing resource with others. As a consequence, the threats that these other sites may present to your site are negated. These threats could originate from, malware, hackers, bad coding or even general maintenance on those sites causing contamination or damage to the underlying server set-up on which yours is based. Many dedicated hosting providers will therefore go as far as guaranteeing 100% uptime in their packages. In general, hosting your website in a data center, whether it’s through colocation or leased server space, will allow you to benefit from the economies of scale that the data center can offer on, amongst other things, high bandwidth. To deploy the same resources within your organisation, for the sole use of your organisation, may be prohibitively costly. However, the fact that your website(s) will have an entire server to itself also means that it gets to employ all of the resources that that server has to offer without having to compete with the demand from other sites. In contrast to sites located on shared servers, it will have its own CPUs and can utilize all of the server’s bandwidth, so that the speed and performance of the site is optimized. What’s more your site will have access to the server’s full disk space which is ideal for content rich and, in particular, expanding dynamic websites. If your site is likely to obtain or use sensitive or personal data such as bank account details then a dedicated hosting platform will be able to introduce further levels of security. All hosting solutions should have security measures in place to protect against data leaks from your site but by hosting on a physically separate server you are introducing a significant additional barriers. A major attraction of dedicated hosting for websites with very particular requirements is that it can allow the client and host to completely configure the set up to achieve a bespoke and fully optimized platform. You can choose, not only the hardware specification you want, but also the software configurations you require to run the site as effectively as possible, including the operating system, database and other applications (whilst also taking advantage of root access to the server). Contrastingly, on shared hosting, you would usually need to choose an existing predefined hardware and/or software package (although, of course such packages are available for dedicated server solutions if desired). As mentioned above, dedicated servers will often provide the resource headroom to allow a website to function effectively in the event of any fluctuations in the demands being put upon it (e.g., from spikes in traffic or transactions). In addition however, the fact that dedicated server packages usually involve the leasing of a server means that you and your host can respond effectively when there is a further need for these resource to be upgraded without having to purchase an entirely new server, as you would if colocating. What’s more, you aren’t inhibited by the presence of other sites on the server if you need to make changes to hardware to, for example, increase bandwidth or upgrade the RAM or CPUs. For the above reasons dedicated servers are most often recommended to businesses running ecommerce websites or sites with high volumes of traffic so that they can take advantage of the high levels of both performance and security that dedicated hosting offers. However, it is worth remembering that under the specifications, packages, flexibility and support that each provider offers will vary from one to the next so it is always worth doing your homework and shopping around for a solution that fits you best.